Syria in the last few years has become synonymous with human rights violations at a medieval scale. 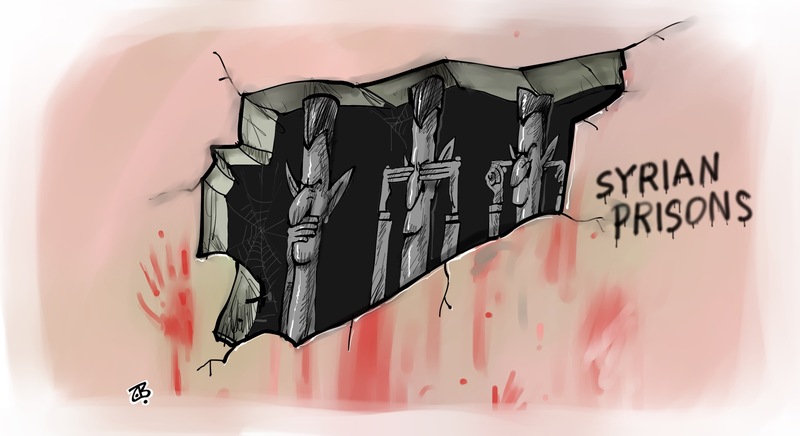 Every week, it seems, brings fresh news of a new horror visited upon the Syrian people. Sadly, this week was no different. Amnesty International released a chilling report titled “Human slaughterhouse” exposing the Bashar al-Assad regime’s macabre campaign to deal with dissent through mass hangings at Saydnaya Prison. The report on the extrajudicial executions by mass hangings at Saydnaya Prison adds a dark new chapter to Syria’s bloody six-year civil war which has already claimed an estimated 400,000 lives according to UN Special Envoy for Syria Staffan de Mistura. Cartoon by The Cartoon Movement’s Emad Hajjaj. The Cartoon Movement is an international online platform for editorial cartoons, with contributions from over 80 countries. If you want to know more about past efforts to bring accountability to those responsible for crimes in Syria, read these pieces: Iva Vukucic on the lack of specific courts and Mark Kersten on a new UN commission of inquiry. 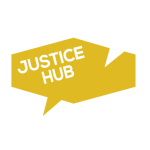 Justice Hub will be following this latest effort. Expect more during the next few weeks.